Fulfilling the promise he made in his previous book, The Quest for Shakespeare, bestselling literary writer Joseph Pearce analyzes in this volume three of Shakespeare's immortal plays -The Merchant of Venice, Hamlet and King Lear - in order to uncover the Bard's Catholic beliefs. 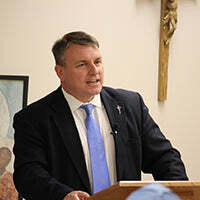 In The Quest for Shakespeare, which has been made into an EWTN television series, Pearce delved into the known biographical evidence for Shakespeare's Catholicism. Here the popular and provocative author digs into the plays, which were written and first performed during the English crown's persecution of Catholics. English history and literature were taught for generations through the prism of English Protestantism. Of late both of these fields have been dominated in universities and academic presses by modern scholars with filters and interpretations of their own. Though the evidence for Shakespeare's Catholicism has been studied before now, thanks, in part, to the unique contribution of Joseph Pearce, the Bard's genius is being analyzed in the open air of the public arena, the very place where Shakespeare intended his dramas to entertain and edify. "What more is there to be said about William Shakespeare? Yet the supply of books on the great dramatist is never ending. Now, however, there is a new reason for this supply. The religion of Shakespeare, and specifically his Catholicism, is now recognized as a 'hot topic'." -Peter Milward, S.J., Shakespeare scholar and author,Shakespeare the Papist.